Thanks to Philips Hue for sponsoring today's discussion, regardless all opinions expressed below are completely my own. Whether it's white light inviting you to study a little longer, purple light lulling you into a sense of relaxation, or yellow light reminding you of the sunset, light plays a pretty big role in the vibe a room gives. 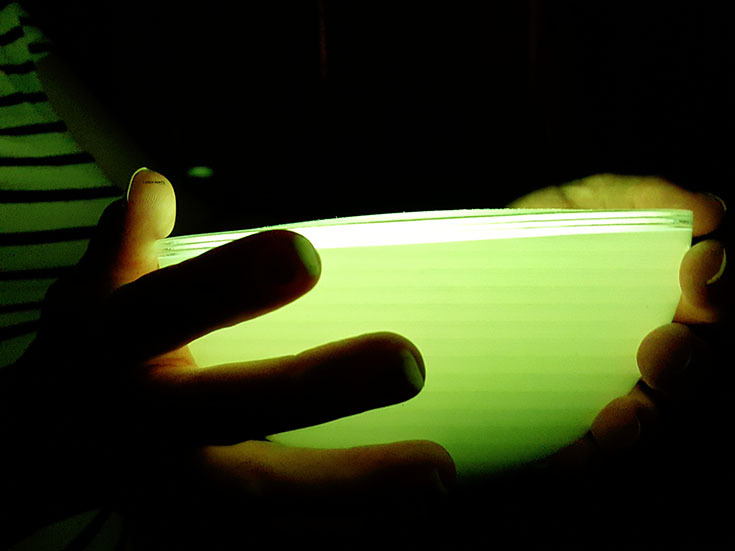 I never really thought much about lighting until I learned about the Philips Hue. This awesome little lighting system allows me to set the mood for every occasion right from my phone, it's the coolest new addition to our house and Delainey's pretty lucky to have it all in her room... and I'll be honest and share we may have to use parts of the beautiful Hue lighting system throughout our house now that I know how gorgeous it is. 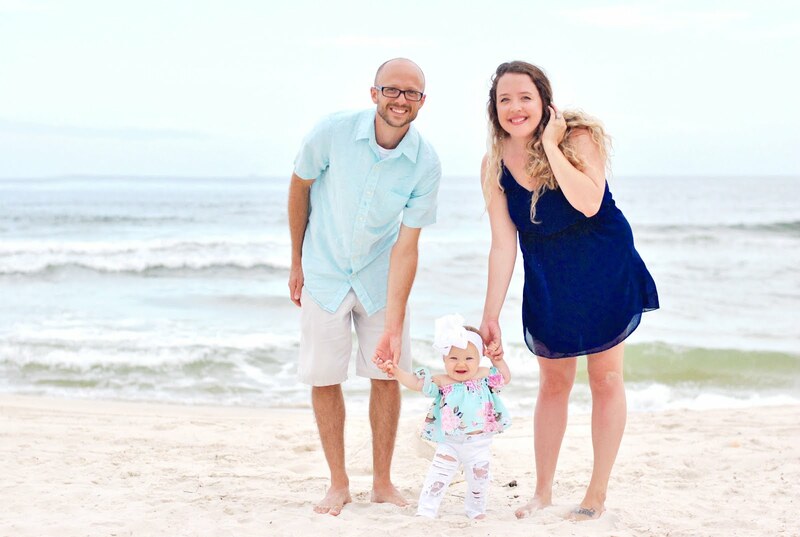 We decided to spice up her room for Halloween, giving her gallery wall some needed pizz-azz, her overhead light also got a makeover, and we even have it all set to a motion sensor to make diaper changes in the middle of the night a breeze. We just walk in and the lights turn themselves on to a dimmer setting, based on my choices. 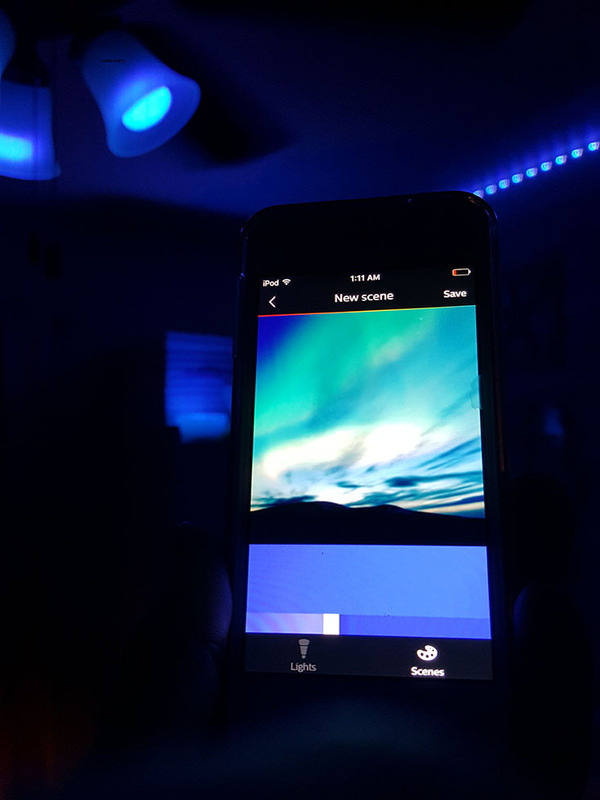 Whether you want the room to brighten at an exact time of day or you want to adjust the tones of the color of the lights, using the Philips Hue app with the Ambiance Starter kit, the Go, and the LightStrip is an entertaining way to give each day a colorful new view and each room in your home its own inviting vibe! The Philips Hue Ambiance Starter Kit includes the bridge that connects everything, as well as 3 White & Color Ambiance bulbs - just install these bulbs in any regular light fixture and it's time to start getting fancy with your lights. 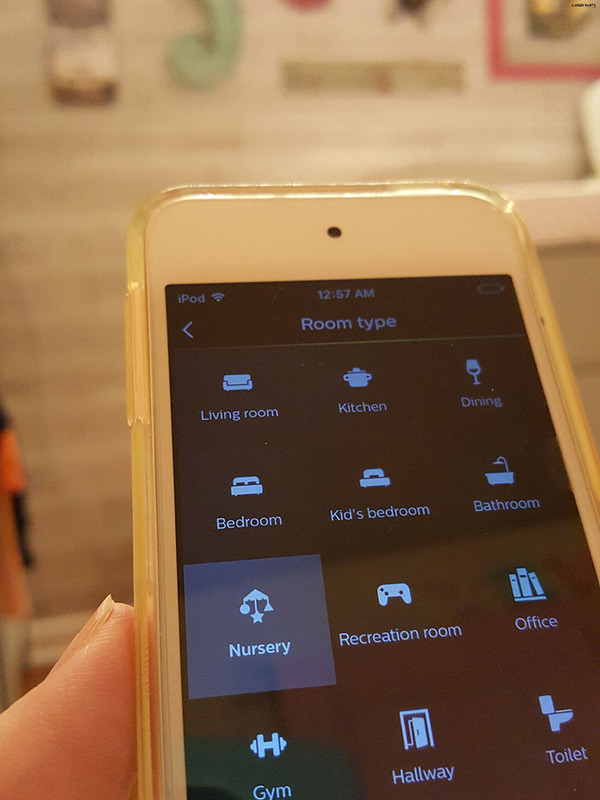 The motion sensor is a real life saver with a newborn in the house... and it'll make a nice little prank on Halloween. For now it's set up in Delainey's room for diaper changes but in a few days this little sensor will give us a warning that trick or treaters are about to ring. It'll be so convenient to know when little ones will be knocking for treats, especially if we light them up with a colorful fun setting. 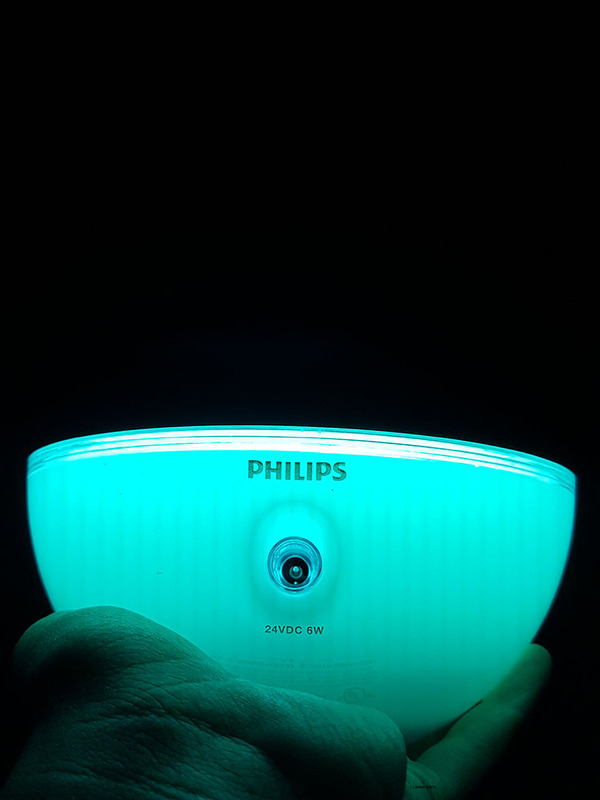 The Philips Hue Go is the light I plan on having out front with the motion sensor, it's so handy and the perfect little travel light. You can use the app to adjust the colors or just push the button on the device to make it match the color you prefer! The last item in my Philips list is the LightStrip Plus, the perfect way to illuminate anything you're proud of. 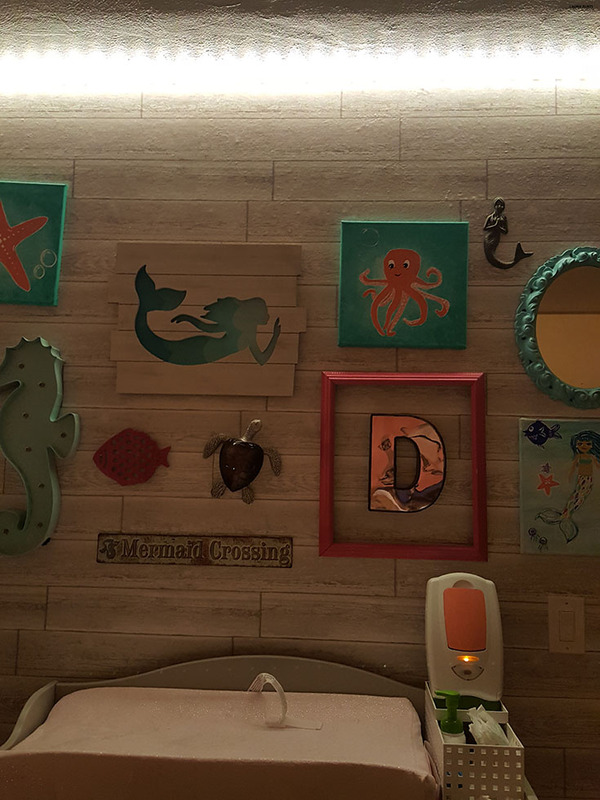 We LOVE her gallery wall but it felt like it was missing something until the light strip was added. It's fun to make the room glow different colors and the gallery wall being lit up in all its glory was stunning. With over 16 million colors and infinite possibilities, the ambiance you desire is readily available with Philips Hue. 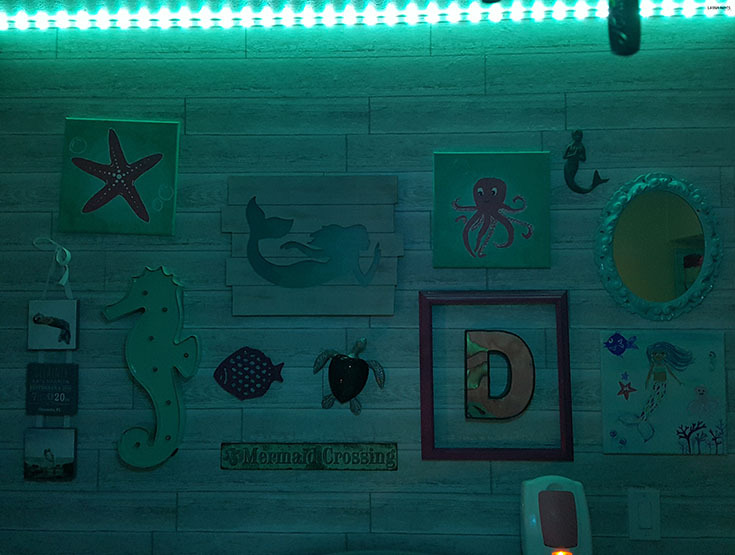 So we can add some orange and a pumpkin or two to Delainey's room to help her embrace the holiday and in a few weeks from now, we can add some green and red to give things a Christmas vibe. I'm loving how versatile the lights are and how simple they are to work. Speaking of simplicity, you can even set your whole light setup to adjust based on the colors of a photo you upload. 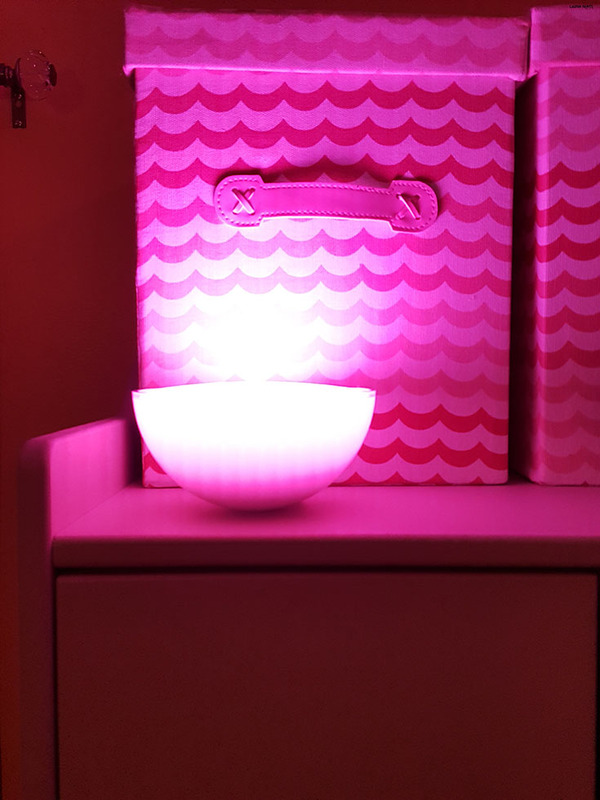 I'm excited to play with this feature, as well as many other cool little tricks the Philips Hue line offers. 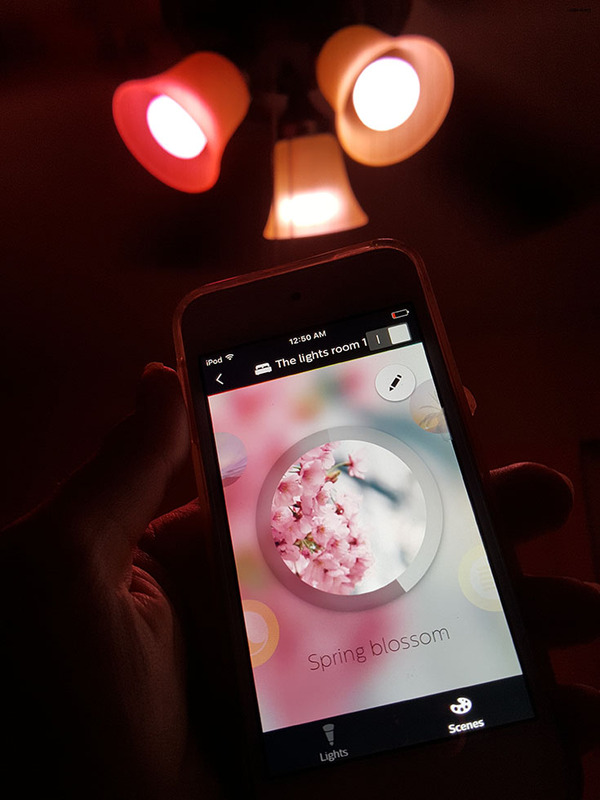 Are you ready to invest in a Philips Hue light system like this? You can find these cool new additions for your home at Amazon, the Apple Store, Bed Bath & Beyond, Best Buy, Home Depot, and MeetHue.com, among other retailers. 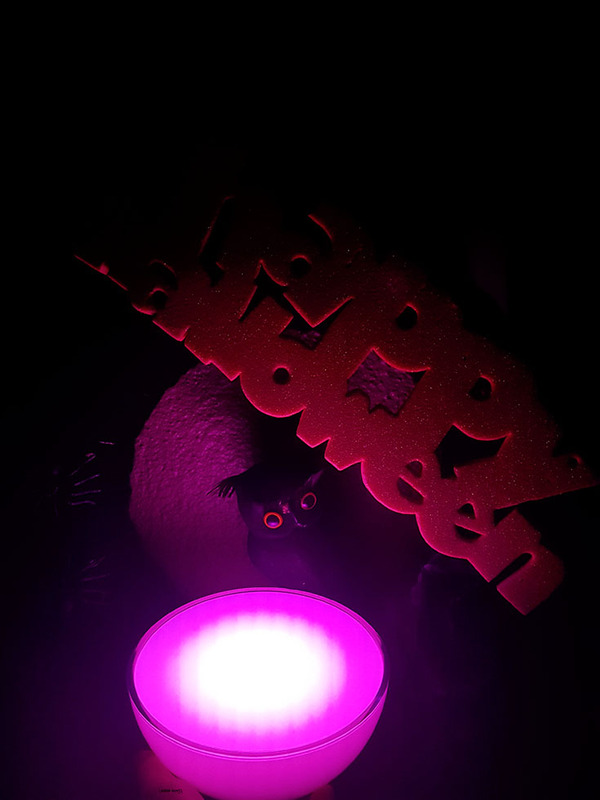 If you choose to purchase via MeetHue.com, use the code "HueHalloween" through October 30th and receive 15% off all products all orders $100 and under!